Home › Matricom G-Box Q Quad/Octo Core Android Tv Box [2Gb/16Gb/4K] (Supports Amazon..
Matricom G-Box Q Quad/Octo Core Android Tv Box [2Gb/16Gb/4K] (Supports Amazon..
High performance Quad Core S812 CPU paired with the powerful Mali-450 Octo Core 3D GPU Graphics Processor = Mind-blowing performance. The G-Box Q2 has over four times as much power as the MX2, and 25% more power than the original G-Box Q which provides the best Android experience available from any other competing product. Watch your favorite movies and live streams with vivid and smooth playback. Hook up a USB mouse (not included) and play your favorite Android games on your TV! Not your average streaming device. The G-Box Q2 is a full Android computer made for your living room and has so many options! Unlike Roku, Apple TV, Nexus and more, the G-Box Q is free of any restrictions. Install your favorite apps and customize away! With the G-Box Q2 you're not limited so you can personalize the experience the way that you like. The 16GB internal storage gives you space and freedom to install apps without having to always worry about running out of space. The G-Box Q2 was developed with Kodi Media Center in mind! Fully supports and is optimized for Kodi. Tons of free streaming add-ons available for Kodi so you can cancel your satellite or cable service and enjoy streaming your favorite shows and movies from anywhere in the world! Ready for the best Android TV experience available? 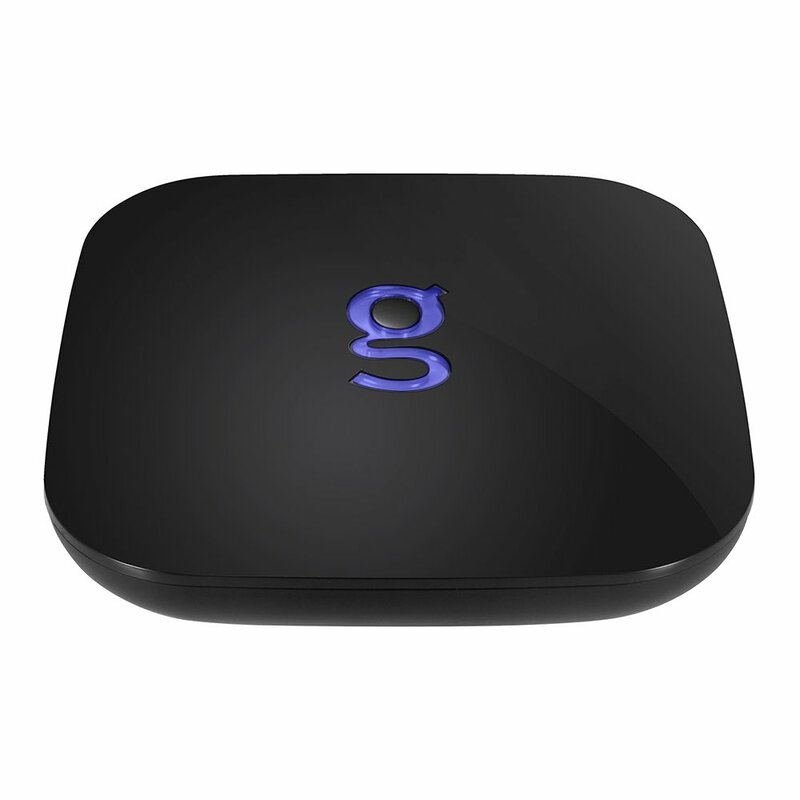 Enter the G-Box Q, the world's 1 selling high-spec Android TV box, now with Amazon Prime support! With 2GB RAM and 16GB Internal storage, the G-Box Q is the first to change the game for high performance Android devices on your HD television. G-Box Q includes custom firmware development specially built around the Amlogic s812 processor developed IN THE USA by the best Android developers known to man. Gone are the days of fumbling firmware updates and running out of storage. The Q comes with 16GB, which is double the storage of the Nexus and FireTV boxes. Gone are the days of waiting for buffering. The G-Box Q comes with dual-band 802.11 Dual Band 5G WiFi. Gone are the days of tedious firmware updates. The G-Box Q is under heavy development and backed by a strong community of open-source and commercial developers that LOVE the G-Box. Comes loaded with Kodi and is easily upgradeable when new versions are released. The G-Box Q plays more formats and and works more efficiently in Kodi than other competing set-top boxes. Matricom is the pioneer in Android set-top box technology and brings the best to the table (or, in this case, the living room).